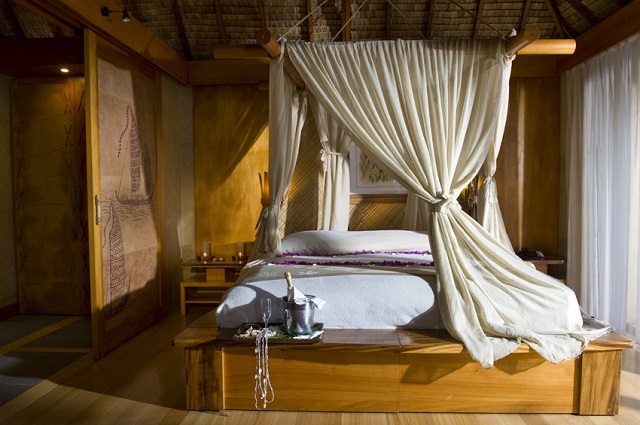 Indulge in the most luxurious of accommodations for an unforgettable honeymoon stay. 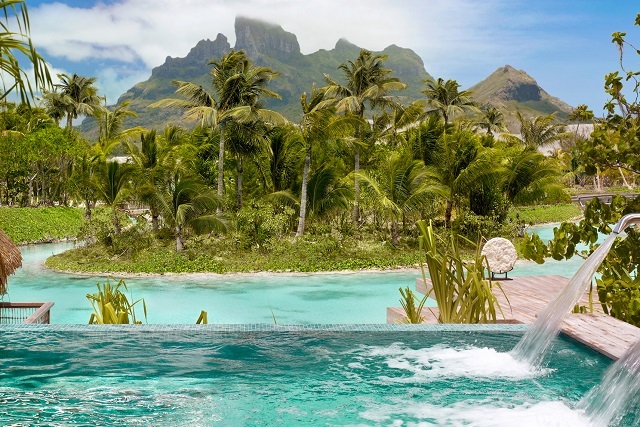 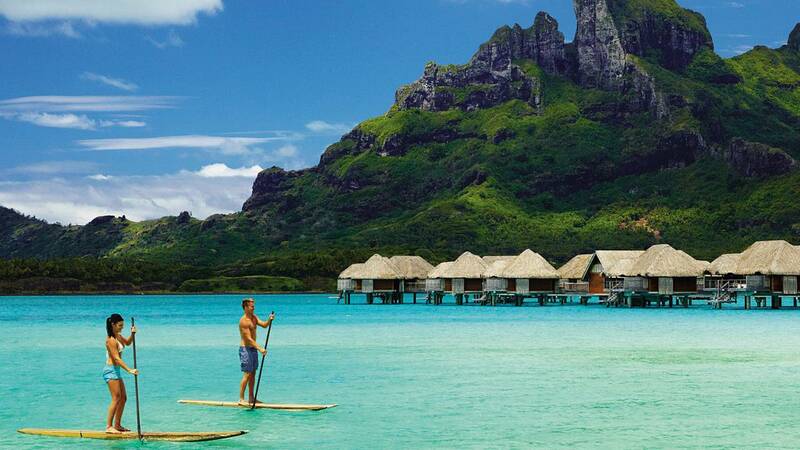 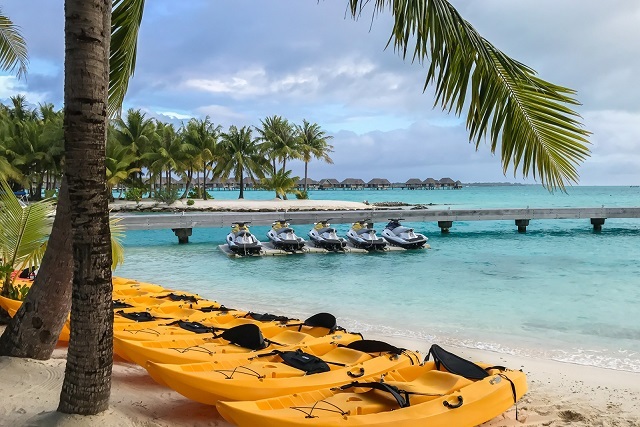 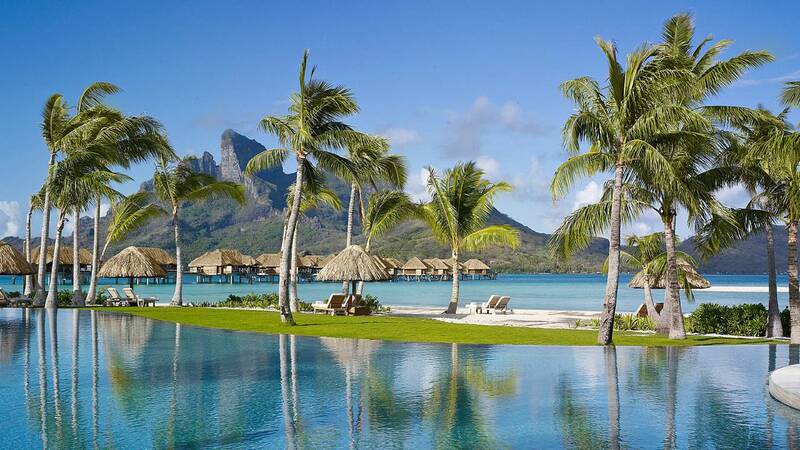 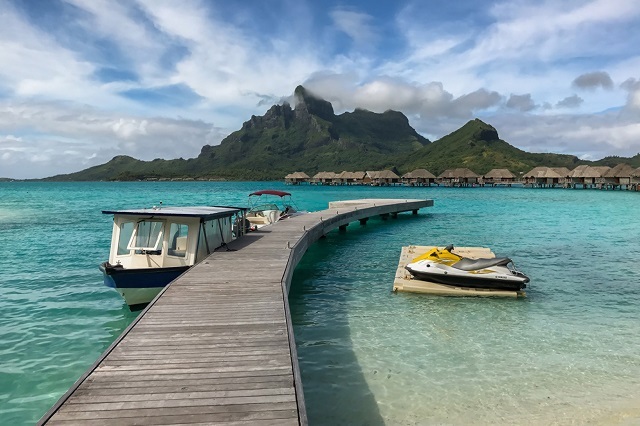 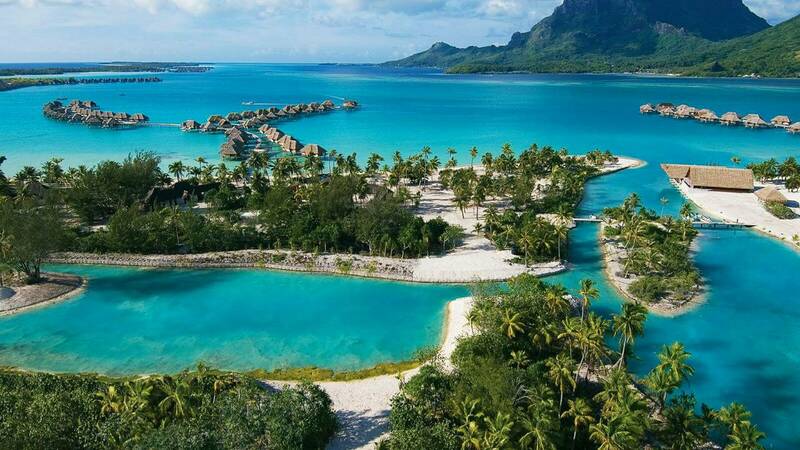 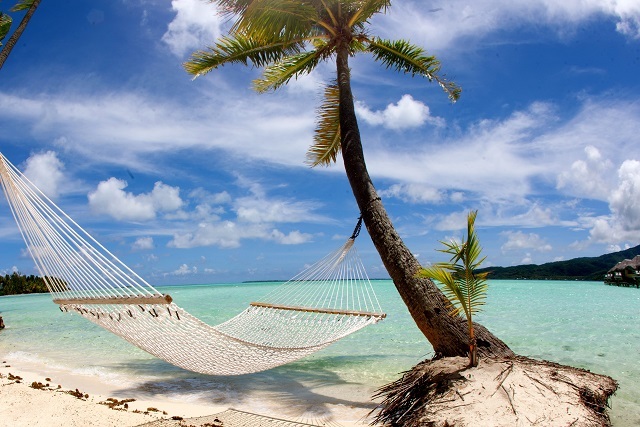 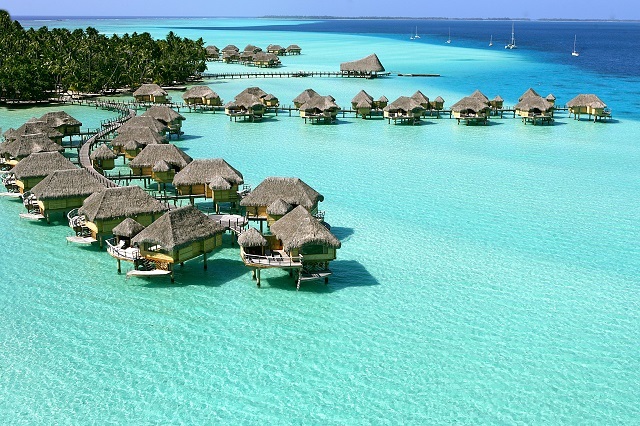 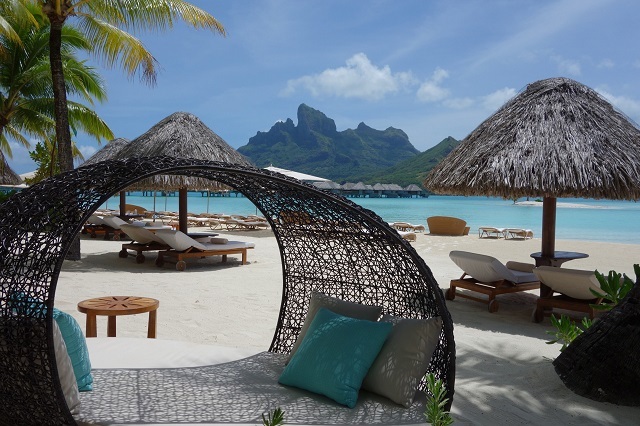 You’ll spend four nights savoring the hypnotic lagoons of Bora Bora at the Four Seasons Resort, followed by three nights on the tranquil island of Taha’a at the five-star Le Taha’a Island Resort & Spa. 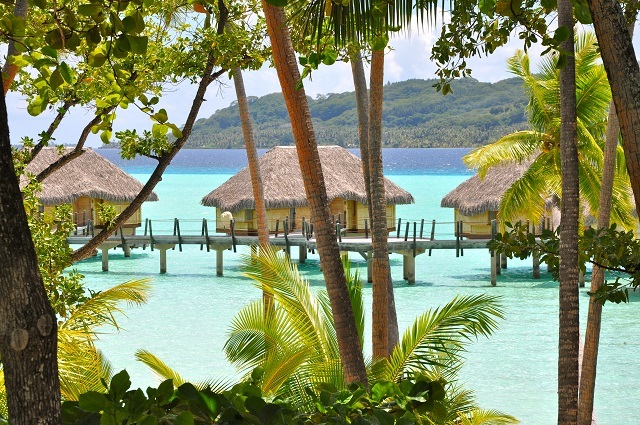 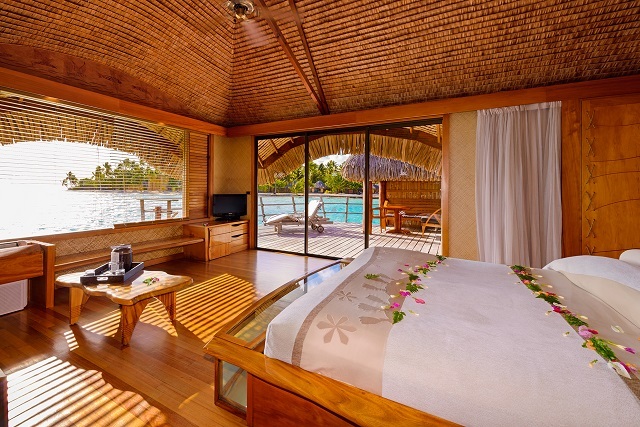 Each bungalow offers the complete Polynesian lagoon experience, with views of the Resort’s white-sand beach. 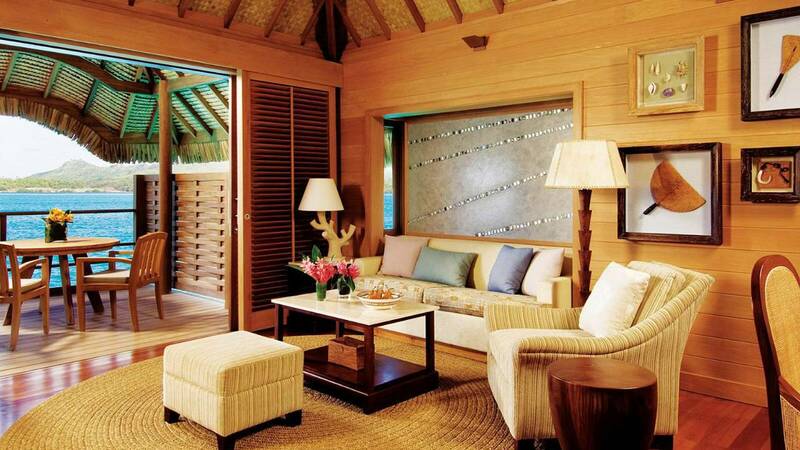 Features a spacious living room that opens onto a deck furnished with two chaises lounges, perfect for entertaining. 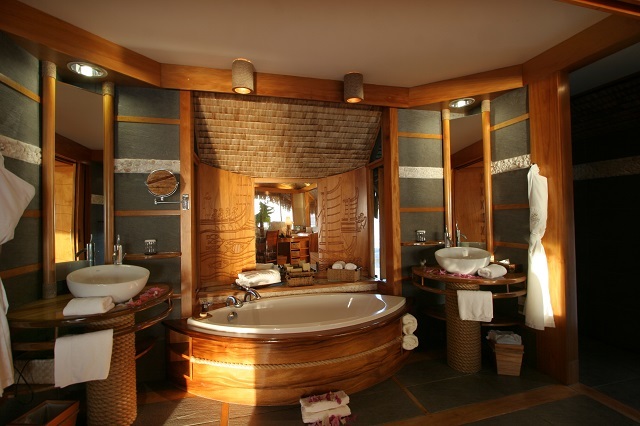 The bathroom, which opens onto a wooden deck, also features a double vanity, an oversized free standing tub and a separate shower. 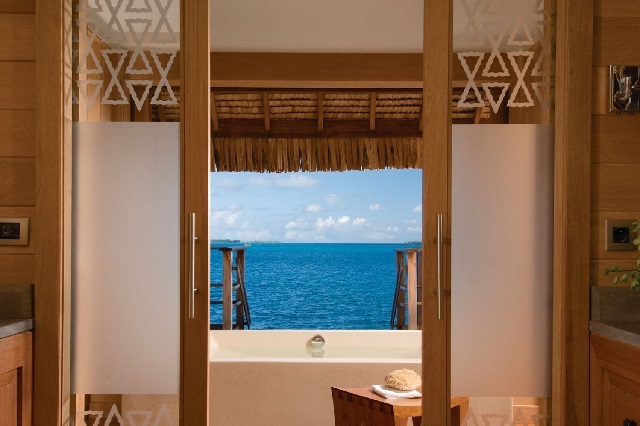 The Taha’a Overwater Suite offers stunning views of Mount Ohiri on the island of Tahaa, features a glass bottom table for viewing the water below, and a large private terrace with lounge chairs and direct access to the lagoon. 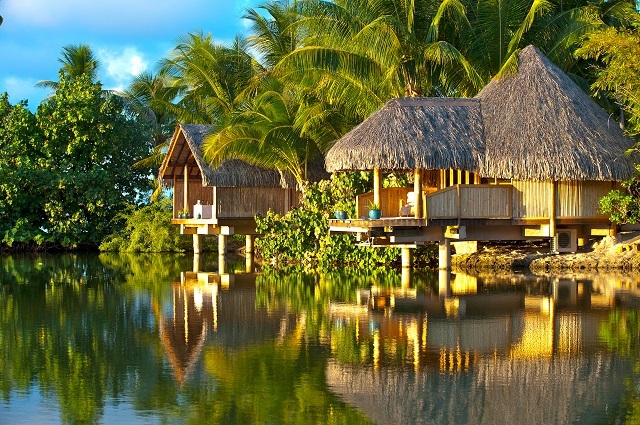 The Lagoon View Bungalows have the same layout and appointments as the Beach View Bungalows and feature unobstructed views of the surrounding pristine lagoons. 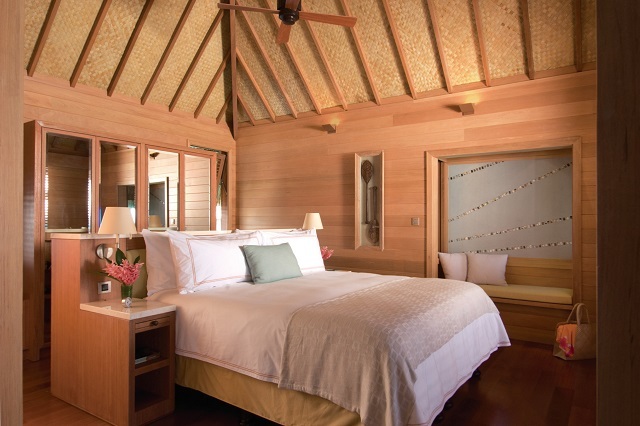 These bungalows share the layout and luxury of the Beach and Lagoon View Bungalows and also feature majestic views of Mount Otemanu and the island of Bora Bora. 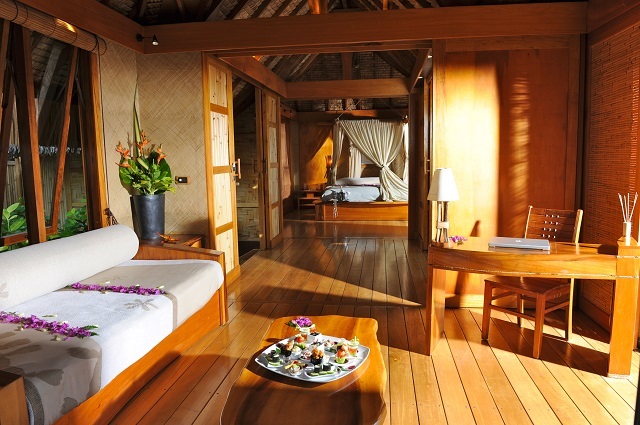 These Suites have the same configuration and facilities than the Taha’a Overwater Suites, but also enjoy an unobstructed view of Tahaa and the lagoon. 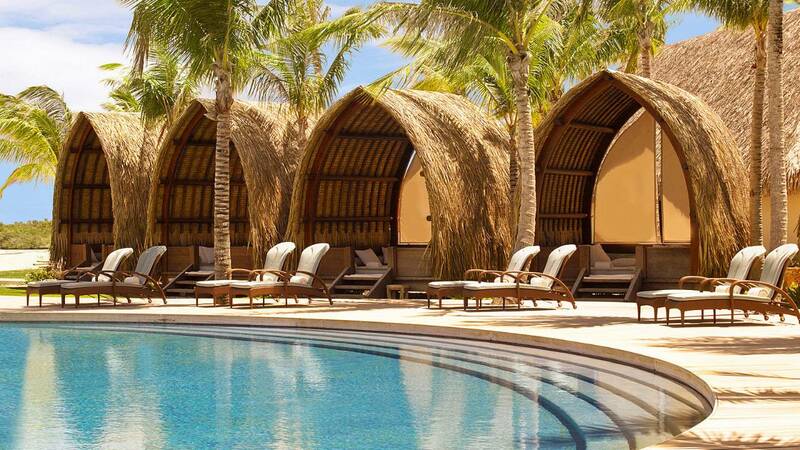 Each villa features a private enclosed garden and terrace with a private plunge pool, deck, and lounge chairs. 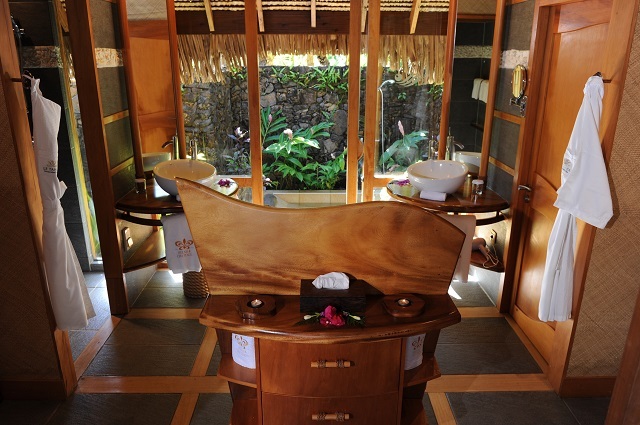 The open air bathrooms are a treat surrounded by tropical gardens and foliage. 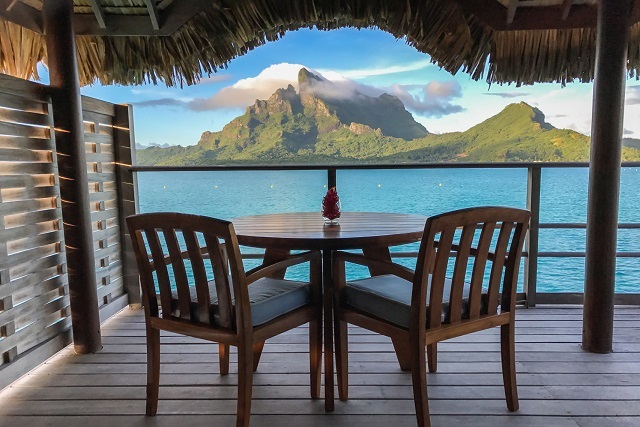 Similar in size and layout as the Taha’a Overwater Suites, these accommodations offer a breathtaking view of the horizon and neighboring island of Bora Bora. 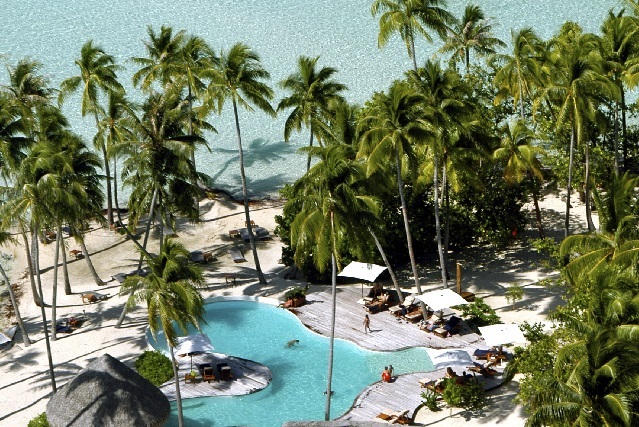 Discover all the treasures of the “vanilla island” during a full day excursion. 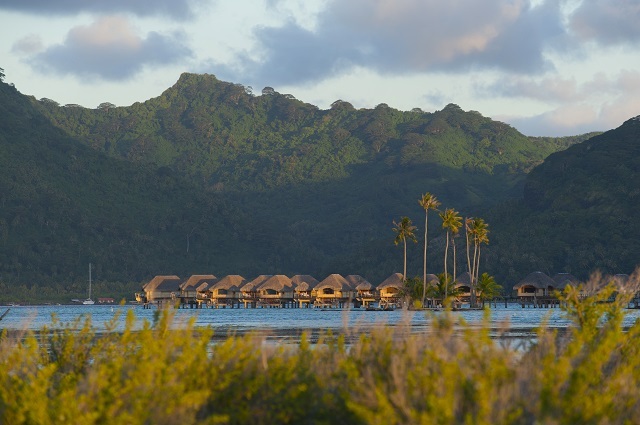 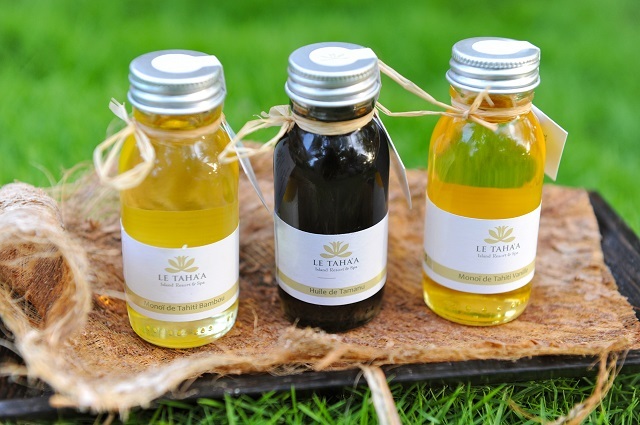 Begin with a 4WD tour through paths leading to a magnificent view point on Tahaa lagoon. 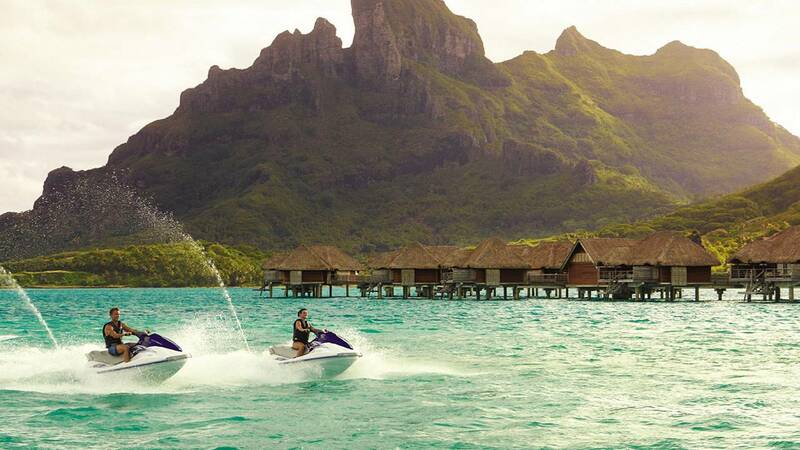 Pearl farm, vanilla plantation followed by a delicious lunch on the motu. 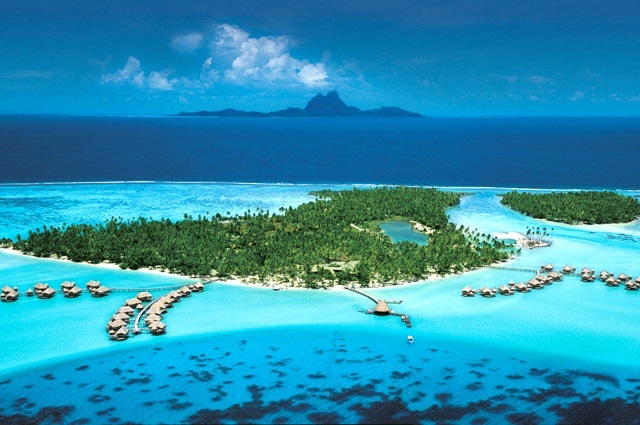 The day tour will then continue with a snorkeling in the most beautiful coral gardens of French Polynesia.